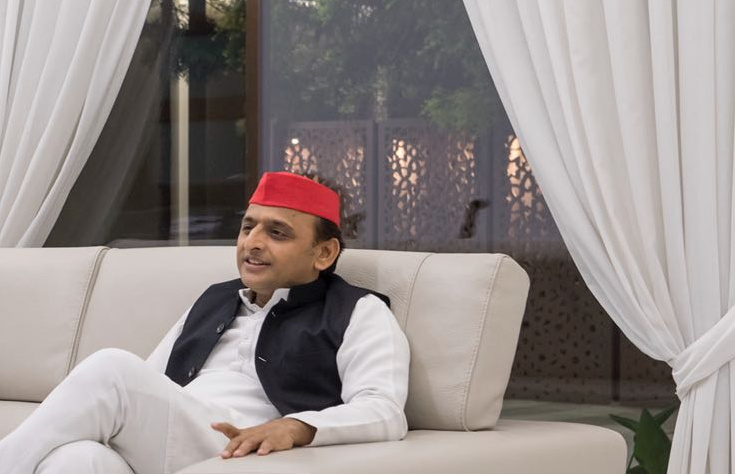 In an exclusive interview with The Wire, Akhilesh Yadav, Samajwadi Party leader and former chief minister of Uttar Pradesh, says the defeat of the BJP in recent key by-elections is a taste of what is in store for the party next year. 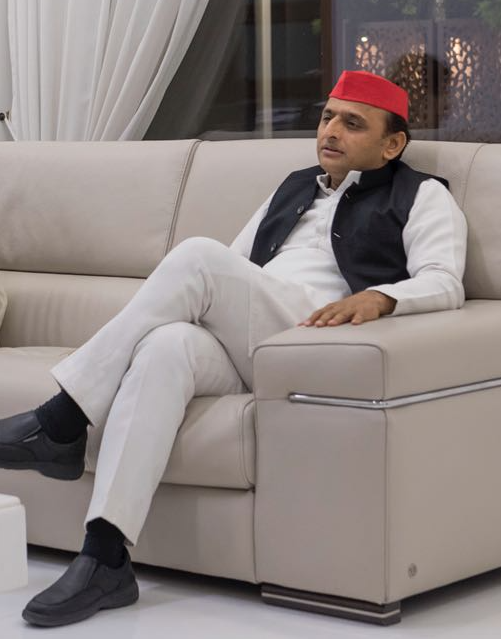 Lucknow: After his chastening defeat in the 2017 Uttar Pradesh assembly elections, Samajwadi Party leader Akhilesh Yadav believes the coalition he and the Bahujan Samaj Party’s Mayawati are building will be capable of giving the Bharatiya Janata Party a run for its money in the upcoming Lok Sabha elections. In an exclusive interview with The Wire, he discusses the recent setback in the elections for the Rajya Sabha, the failure of the Modi and Adityanath governments to deliver on their promises, the law and order situation in the state, the BJP’s use of communal polarisation and the need to think afresh about the categories of ‘backward’ and ‘forward’. Siddharth Varadarajan: Let’s begin by talking about the recent Rajya Sabha (RS) results, where the BJP was able to ensure that the Samajwadi Party couldn’t deliver on your part of the bargain with the Bahujan Samaj Party that had helped you win the by-elections to Phulpur and Gorakhpur. Do you think the way the BJP outmanoeuvred you has shaken the SP-BSP alliance or might it actually end up strengthening it further? 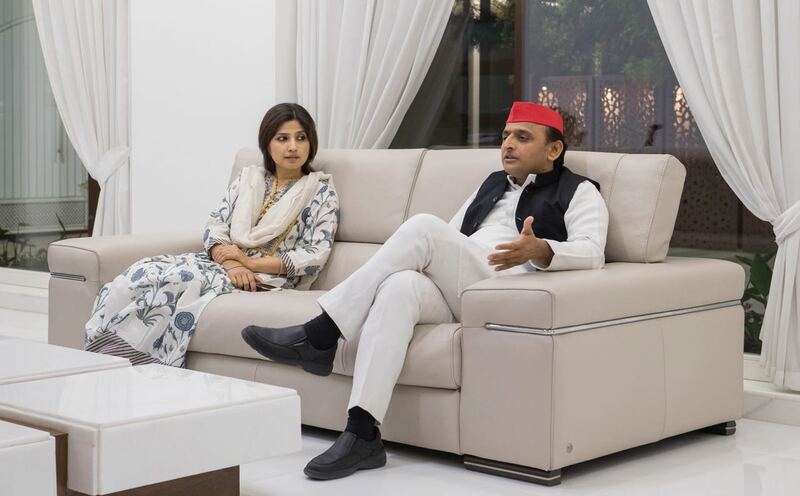 Akhilesh Yadav: I think that going by what Mayawatiji said very clearly at her press conference on Saturday (May 24), perhaps the alliance has become even stronger. Gorakhpur and Phulpur were a people’s election while what the BJP did in Lucknow for the Rajya Sabha seats was an ‘election’ settled by influential people staying awake all night. There is no comparison between the two elections – in the by-elections, the public decided, and here a coterie decided, over dinner. And then they say that I have been defeated! The entire plan was to do what it takes to somehow break our alliance with the BSP or weaken it. The BJP really tried to do that. And when they managed to win the RS seat, the chief minister [Yogi Adityanath] became so happy that he forgot about his fast for Navratri and ate four ladoos in celebration! He forgot about everything over a seat in the RS! But this victory in the Rajya Sabha is not going to give them a lot of success, because they haven’t done anything for the public. Five years of the BJP government are going to pass at the Centre, two years and two budgets in UP later, they are not going to get any benefit as the people on the ground are unhappy. The many promises made have not been fulfilled. There is nothing to show the public. SV: How easy will it be for you to replicate the win at Phulpur and Gorakhpur on a state level in Uttar Pradesh in 2019? What will your strategy be? AY: Actually we were making an expressway and we wanted it to extend from Lucknow to Barabanki, Sultanpur, Amethi, Faizabad, Azamgarh, till even Ghazipur. And I had got 70% of the land for this as well, and got tenders as well. If the government had wanted they could have finished the job, but they didn’t. And the work that we had done, the direction we had given, that there should be a mandi (market) – like at the recent the investment meet, the Prime Minister said that Dusheri mangos could be exported directly – we made a mango market, and they stopped that. I made a potato market, and they stopped the work for that. I made a market for grains and vegetables, and they stopped the work for that too. All these markets were to be along the side of the expressway. So the infrastructural support that we were giving, and the help we wanted to give to the agricultural sector, or what the PM was saying in his speech, all that was stopped by Yogiji. Now it’s ‘one product, one district’. But our district has many products, so that means nothing else is going to happen. So there is no point in an investment meet, there is nothing happening for infrastructural development, the quota for electricity has not been increased. And they had promised these things. We were at work but people [before the 2017 election] told us that none of that would matter, to win you have to have your caste equations in place! I was talking about the expressway because I understood myself to be forward. But the BJP has taught us that we are not forward by our work, but that our place of birth determines whether we are forward or backward. That I will be whatever I was born into. Now I cannot decide which home I am born into, can I? This is what the BJP preaches, and that is what we are now following. For this I would like to thank the BJP. SV: In the 2014 and 2017 elections, Narendra Modi himself and the BJP generally used the religion card quite frequently. They spoke of Hindu electricity; Muslim electricity, shamshan ghaat and kabristan – and perhaps this had an effect as well. Do you think in the next elections they will follow the same tactic? What will be your strategy to counter this? AY: In the last elections of UP in 2017, one thing that became quite clear was that the biggest casteist and communal party of the country – the party that actually runs its politics along communal lines and that spreads hate along religious lines – is the BJP. The public of this country, and especially UP’s public have seen this truth – how they create fights between different communities, and spread hatred between different religions. Now they will no longer believe what the BJP says. Now they will look at the real issues – like poverty, they had said they would erase farmers’ debts but this hasn’t happened and farmers are committing suicide. They said they would give jobs to crores of young people, but no government jobs or employment options are available. They made many promises but none have been delivered on as yet. There is disappointment and anger among the people. This will be go against them in the coming elections – it has already begun to show in the recent elections. The BJP should now be careful, and start fulfilling their promises soon otherwise what the people did in Gorakhpur and Phulpur will happen in all of Uttar Pradesh. SV: The question of the Ram temple in Ayodhya is being revived, they are keen that something should be done quickly through the courts, so that the issue comes back to centre-stage. AY: The people of UP, and of this country, know that the BJP can surpass any limit with their lies, and utilise institutions and people to undermine democracy. I believe that this time the people will ask questions and think about their future while voting. Look at the problem of lack of jobs. If things are not fixed in this country, then maybe this generation will all be unemployed. And if the situation doesn’t improve then crores of people will be without a livelihood. So how will the country run? They talk about giving homes but there is no sand for construction.Their MPs and MLAs have done no work. They are fighting over contracts. SV: You say that no work has been done, but as soon as we stepped out of the airport in Lucknow we saw great big posters of Modi and Yogi proclaiming ‘Ek saal behmisal’ (One year unmatched), listing out their achievements. For example they say the law and order situation has been fixed. Are you saying these achievements are only on paper? AY: This is not ‘Ek saal bemisaal’ but ‘Ek saal bhuji mashal’ (In one year the flame has extinguished). Tell me what work have they done on their own? When you got out of the airport, perhaps you focused only on the hoarding, but if you looked at the streetlights, they are the same ones saved over by the Samajwadi Party government and put up just before the investment meet. Look at the Lucknow metro. Their contribution has been to try and make sure it does not work. They stop the safety and security NOC to the railways. They are making big claims of making a defence corridor, but that can only be done if you give land. And they won’t give land. I had asked the defence ministry for five years for land to make the roads wider, but they never gave us permission. Mayawatiji had started a flyover, and for five years I tried to take it forward, I asked the area commander for land, never got it. So how will they make a defence corridor if it is so difficult to secure even small amounts of land? They are good at making claims but not at doing the work. Whatever you see in Lucknow, the work has been stopped and no new work has been done. I felt very good during the recent investment meet, when the biggest hoardings were of the expressway. It is a different matter that the pictures on the expressway were of the PM and the CM. Still, if UP gets more investment for the expressway because of this, I will even be prepared to say that they have made it and not us! And they must not have heard the speeches there properly. The biggest industrialist said that he had invested Rs 20,000 crore before and will invest 10,000 crore more. So what is their achievement? SV:The Wire has been reporting and investigating on the situation with the encounters, and we found out that the police is not always telling the whole truth. When we published our findings, people from the BJP said that the law and order situation had deteriorated to a point where there was no alternative and that extreme measures are required, and that it was good that Yogi Adityanath had given the police freedom to act. What do you think of this? AY: They are hoodwinking the people. The BJP home ministry’s figures are there. Everything in UP has worsened, the crime graph has worsened, the incidents have also increased. This is not coming from me but from the report published by the home ministry. And they want to scare us, as they carry out encounters along caste and communal lines. I shouldn’t have to say this but am forced to. I want to ask them – Who was Jitendra Yadav that you had to carry out an encounter with him? Because your policeman wanted an award or a promotion. So someone who was just on his way back from a wedding, you shot him. Luckily he was saved, and to silence his family you paid for his surgery. Will his life be the same, after a Rs. 7/8 lakh surgery? What were ministers going and telling his family? Let the nation know. What were they telling the family? And why did the encounter not happen in Lucknow? There was an MLA – his son was killed in front of his father. But the murderer was taken to jail with great respect. During a fight over food in Allahabad, a Dalit was killed. The criminal was taken very respectfully to jail, and I don’t understand this. They want to threaten and scare people. And these encounters do not help. There have been thefts in the BJP people’s houses. I will give you the list. So how is this happening to the BJP people itself if encounters are improving law and order? 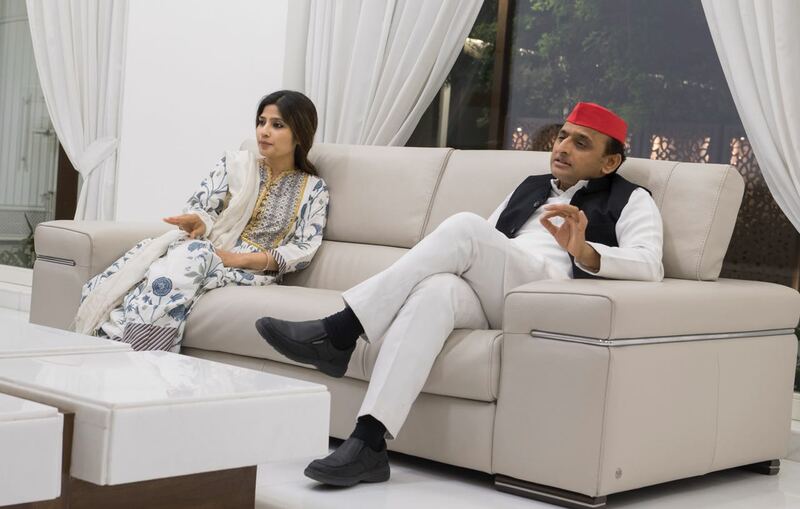 Akhilesh Yadav’s wife Dimple Yadav joins him in emphasising a point. Credit: The Wire. SV: After Phulpur and Gorakhpur, what is the plan for the Kairana by-election? AY: The plan for Kairana is to defeat the BJP. SV: The same agreement and arrangement will take place? AY: That is what we will try for. SV: In her press conference Mayawati said the agreement with the Samajwadi Party will continue to 2019. Are you all envisaging a full seat-sharing agreement? How will this happen? How easy or difficult will this be, this alliance with BSP? AY: I already have the experience of reaching an agreement with Congress so I understand how this is done. I believe that if the aim is big – and this is a big question of saving the country, 2019 is an election to save the country from the communal and caste hatred that has been spread, they are trying to destroy the constitution, – then we will find a way. We wanted to get ahead via our work, and they called us Aurangzeb and called ours the alliance of a ‘snakes and mongoose’ – all this just because we are born in a certain place. We have no control over that. If they talk about us like this, you can imagine the disrespect they have towards the ordinary voter, the poor people of the state. They have opened my eyes to this reality and I thank them for this. We will build a strong coalition and we will try and defeat them. SV: At the national level, there are two trends among the opposition parties. One is to make an alliance with the Congress, as the RJD believes, and work to defeat the BJP through a pre-poll coalition. Then you have Mamata Banerjee and KCR in Telangana, who talk about a federal front that will fight both the BJP and Congress. You have previously joined with the Congress party but now your main partner is the BSP. How do you imagine you will contest the 2019 elections? Are you looking at a common alliance against Modi? Or do you think there should be some flexibility, and that coalitions can also emerge after the election? AY: If there is a grand pre-poll alliance, the BJP will say, “Look, this is BJP versus the rest”. SV: If the alliance is made like that? AY: Yes, and they will also ask who the leader is then. I think, after the elections we will see who is the best among the rest then. This is the responsibility of the regional parties as well. There is Mamataji, Laluji’s party, we are there, there is Mayawatiji, and other parties. We are all responsible parties. Let us first stop the BJP. The rest we will see later. In the village, there is this game called ‘pithu’. If there is one stone, how do you make it fall, but if there are many stones piled up it can easily fall. Now the BJP, they have everything – MLAs, MPs, ministers, the Rajya Sabha, the PM, CM, president, what else do they want? But they are still not giving the people anything. The people want results, and they have not delivered on that front. They haven’t forgiven or erased farmers’ debts, they haven’t given jobs. SV: The BJP government in UP has been criticised for the withdrawal of criminal cases against Yogi Adityanath. In fact, Yogi decided not to prosecute himself, and why should he not have when you yourself, as CM, did nothing to pursue the cases against him? This was a very important issue from the point of view of rule of law but it was not taken forward. Would you accept that you were lax, that you ignored what was such a serious case? AY: I think a government has many things to do. I remember there was an incident in Jhansi involving him as MP, where they were involved in a fight along communal lines. I had them arrested and sent them straight to Delhi from Kanpur. It’s true that we should have pressed more and moved faster but now it is out of our hands as we are not in power. However, I also believe that every individual and department in an administration has their own way of doing things and I did not run my government with the aim of targeting individuals and creating enemies. The work was going on as it should rightfully. And may be that is why things happened that way. SV: Now in SP, are you trying to distance yourself from the party’s previous policies, such as the MY (Muslim-Yadav) formula, which was once very important for you? The BJP also used this factor to create a negative perception about the SP’s ‘votebank politics’. People say you are moving away from the old formula, and trying for broader politics. How true is this? AY: In our decisions, work and any level of our party, the SP has always tried to attract the most people, not only two sections or counting castes and doing politics. We want more more people to join. All this is said to defame our party. Now we are engaging in a different kind of fight. Our PM is taking about digital India. So we are going to say that since everything is linked to Aadhar now – bank account, registry, ration etc, all amenities – let our coming generations not fight, please link us to Aadhaar, count everyone and give us our rights. We are also saying count us in for this, and count us and give us our rights. Now the fight has moved forward, it’s not about Muslim-Yadav, it is about joining with Aadhar and giving to those who are there, on the basis of population, what is their due. This is the fight. SV: One fight is there within your family, or was. What is the status of that? AY: Now there is no fight. As you saw in the past election, we all met, ate together, played Holi together. And now there is no kursi (seat/power), so why will there be a fight?! (laughs) There will be a fight only when we get kursi! SV: Well, there was a fight last year about the alliance with the Congress. AY: No, there wasn’t a fight about the alliance. That is over. SV: So now there is no problem in the family or party? AY: See, all these issues do arise in political parties. But our main ideology/principle has not changed. Someone says you have made the expressway you are not a socialist, or you have made the metro you are not a socialist. What does this mean? Where have we moved from out ideology? When everyone sits in the same carriage that is society. We are giving ordinary people amenities; we are working for the community. We want to create equality in the society, that is our aim. It is not to not make metros. People say we are socialists who know nothing. This is why I saw I am a ‘progressive backward’, a ‘visionary backward’. And if they are ‘forward’, then we ask them to make an expressway in 21 months and then we will accept that they are forward! They are actually backward. Once you count everyone with Aadhar, then what is the place for forward or backward in politics? SV: But there is a lot of controversy with Aadhar as well! AY: What I am saying is not in relation to that fight, we just want to be counted. SV: So you are talking about the caste census? AY: We just want to be counted, what are we, count us. Why not count us? Don’t let the fighting continue in the next generation. We want to be counted and finish it in this generation itself. SV: One last question, what is the SP’s current stand on the women’s reservation bill? We know the party’s earlier way of thinking on this but what is your view? The BJP is officially committed to women’s reservation but they have not done anything about this. Where do you stand? AY: We are not against women’s rights, but against the way the manner in which the bill is being conceived. Let parties decide to field women. One of our ex-ministers has said a lot of things because we selected Jaya Bachchan. Did we not decide upon Jaya Bachchanji among so many other potential candidates? SV: But the fact is that parties do not field enough women. AY: Why will parties not support this? AY: I don’t agree. We also have Mayawatiji as the leader of her party, Soniaji is the head of Congress and Mamataji as well– will these three not want other women candidates in their party? If there is any woman candidate who has done the work and is a potentially a winning candidate why will we not support her? Why do you want to fix in the bill the particular constituencies that will be represented by women? Why are you restricting it? SV: Women’s reservation has worked well in panchayats. AY: Say for example in Uttar Pradesh, there are 80 seats and so we can nominate 30% women, similarly in 403 seats we will also ensure meritorious women candidate. Why will we not put up candidates? People who oppose us are the ones who say we are against women. We are not. We are tired of saying this, our opponents say we are against women. We are not. I stay at home with three women – my wife and two daughters, how can I be against them? It should not be construed that I am against women; we want more women to join us. Who was giving Rs. 500 pension to 55 lakh women? In UP, I gave laptops to most girls, and gave women the Rani Laxmi Bai award. I honour all women, like the women who went to London from Delhi by road, and even the five French women who toured the whole of UP by auto. Any girl doing well, we gave awards. All we are saying is that we want the party to get the right to decide. SV: Apart from the tension and anxiety that unemployment and indebtedness have caused, certain sections of the population are also coming direct pressure. There has been violence against Dalits. And Muslims everywhere are feeling insecure. How will you address this? AY: The BJP, and especially the RSS, have spread a lot of hate. They should read the book by Rabindranath Tagore on nationhood; they should each get one copy. Whoever is born here is Indian. I studied in an army school, my friends had army backgrounds, my wife, cousins, all have army backgrounds too. My father’s brother was in the armed forces and was the defence minister too. They do not consider me to be a nationalist because I am a backward. This is the poison that the BJP has spread, and now we have to come out of it. The interview was conducted in Hindi. The transcript and translation was prepared by Devina Buckshee.